Junior pupils at St Francis will be the beneficiaries of some fantastic sports coaching delivered by Blackburn Rovers over the coming weeks. 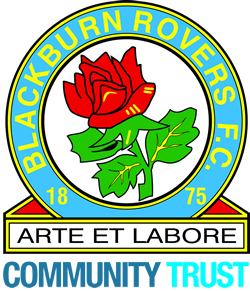 The staff of the Blackburn Rovers FC Trust will be working alongside several Junior classes throughout April and May, to deliver some exciting new sporting opportunities. Starting on Tuesday 26th April of Summer Term, Year 3 will get to enjoy some high-quality Netball coaching, Year 4 will receive some exciting new Dance tuition, and Year 5 will participate in the national sports science-based 'Move and Learn' programme. In addition, children in Years 4 and 5 will be given the opportunity to join a brand new after-school club for Tag Rugby, which is being provided to the school completely free to all by BRFC! Although places are limited to 16 spots on a first come, first served basis, each participating child will receive a certificate of participation as well as a Junior Match Ticket to a BRFC home game upon completion of the course. We are hopeful that these Summer Term offerings will be the first of many going forwards with our local professional football club.